Gov. Greg Abbott is working to defeat three incumbent Republican House members who crossed him on ethics legislation during the regular session last year. If he doesn't win, they'll be back — with scores to settle. With little to lose in his own primary this year, Texas Gov. Greg Abbott is finding his risks lower on the ballot by taking sides in three races against state representatives who have directly or indirectly challenged him on ethics issues. That headline is a quote from Omar Little, a dangerous character in The Wire. Legislators and governors aren’t royalty, and most of them aren’t gangsters, either. But the logic still applies: Winning is sweet, but losing a fight against someone with power breeds trouble in the future. If Abbott’s candidates win, he’ll have a strongman’s claim on the state Legislature; cross Abbott and risk your seat. That could be an effective threat for the 181 Senate and House members who take their legislative seats 11 months from now. If he loses his bet, he risks adding to his reputation as a chief executive the Texas Legislature won’t follow. And the 181 will discount his threats. Bullies can’t stay in business if they don’t win their fights. Neither can pests: Three House members who crossed Abbott have their hands full in this election season. 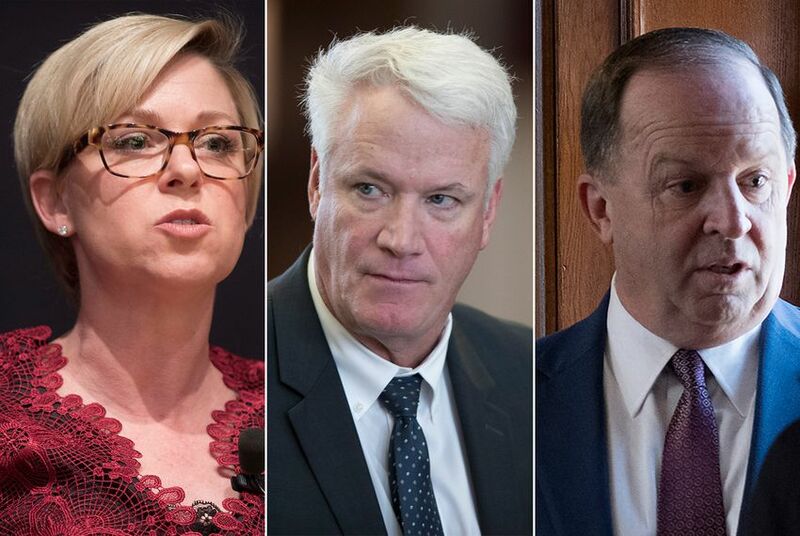 Republican state Reps. Sarah Davis of West University Place, Wayne Faircloth of Galveston and Lyle Larson of San Antonio each tangled with Abbott on what the governor had highlighted as a pet project: tougher state ethics laws. Larson’s jab was the sharpest and most obvious. He proposed legislation during last year’s regular legislative session that would bar a governor from appointing big donors to state boards or commissions. He drew the line at $2,500; anyone giving more that than would be banned from appointments to state governing panels. That pay-for-play bill came up in the last month of a session in which Abbott had — for the second session in a row — made ethics one of his high-priority “emergency” items in his biennial State of the State speech. Larson’s bill wasn’t what he had in mind. But the House liked the idea, passing it 91-48 with a majority of members from each party. It died in the Senate, saving Abbott the decision of whether to spike it or put it in the state’s law books. Abbott’s payback came this week, when he endorsed former Hollywood Park Mayor Chris Fails, who’s challenging Larson in this year’s Republican primary. In that primary, the governor endorsed Mayes Middleton, a former member of the board at the conservative Texas Public Policy Institute and an oil and gas businessman and rancher from Chambers County. That county’s Republican club is where Faircloth’s remarks were recorded. The Davis race has attracted the most attention in political circles, partly because of the politically divided district she represents, partly because of the governor’s heavy involvement in the primary campaign against her, and partly because Davis carried a package of ethics legislation last session, ostensibly working to get Abbott’s priority package across the goal line. Abbott got some of what he wanted, but legislation to keep former lawmakers from lobbying for two years and forcing them to detail who wines and dines them never made it to his desk for signature. Davis was the first legislator on the governor’s hit list. He endorsed Susanna Dokupil, a former assistant attorney general when he was the state’s top lawyer, before Thanksgiving. And he has poured it on, most recently launching a third TV commercial attacking Davis in a campaign in which he has already spent $161,000. The incumbents are punching back, to be sure. Davis has said her relatively moderate district could flip to Democratic control if her opponent prevails in the primary and has pointed out glaring factual errors in the governor’s ads against her. Larson, who joined Davis before last year’s special session to publicly press the governor — unsuccessfully — to put his emergency ethics legislation on the agenda, tagged Abbott for going after three lawmakers who voted for the pay-for-play legislation. Abbott himself has two opponents in the Republican primary: Barbara Krueger and SECEDE Kilgore (he changed his name, and that’s how it will appear on the ballot). He has shown little interest and, frankly, they don’t seem threatening. He’s busy trying to discipline fellow Republicans who won’t do what he wants.